Lynn’s practice consists of commercial bankruptcy and corporate reorganization, specializing in workouts, reorganizations, asset sales and bankruptcy litigation. He also represents clients in disputes with the State of Texas and its agencies, with emphasis on state tax defense. 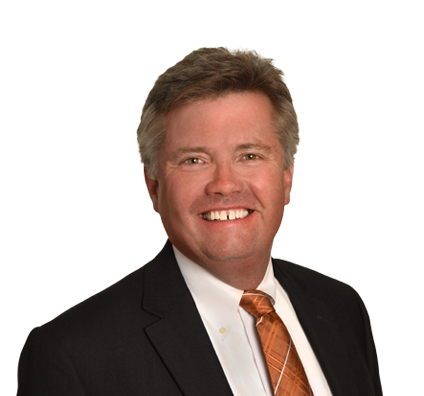 As part of his bankruptcy practice, Lynn has represented commercial debtors and creditors in numerous industries. In his 23 years of practice, he has been involved in more than 600 cases in Texas alone. He has also practiced in the U.S. Circuit Courts for the Second, Seventh, Eighth, Ninth and Eleventh Circuits and is admitted to practice in front of the United States Supreme Court. Lynn litigates regularly in bankruptcy court, having served as lead plaintiff and defense counsel in many bankruptcy adversaries, including fraud dischargeability lawsuits. Lynn also has significant bankruptcy appellate experience, having been lead appellate counsel in more than 20 bankruptcy appeals. Lynn represents clients in bankruptcy cases involving, among other things, manufacturing, restaurants, real estate, utilities and retail, as well as debtor-creditor related litigation. He has developed a specialty in the representation of clients in healthcare-related bankruptcies, having been lead debtor counsel in seven hospital bankruptcies, including four Chapter 9 municipal hospital bankruptcies. Lynn has also represented individual doctors, practice groups, home healthcare agencies and nursing homes in bankruptcy and debtor/creditor disputes, including disputes involving Medicare and Medicaid. Additionally, Lynn has significant experience in music copyright bankruptcies in the representation of music companies, licensees and artists. Lynn represents clients with issues and disputes with the State of Texas, especially those involving the Office of the Attorney General and the Texas Comptroller of Public Accounts. He regularly represents taxpayers in state and federal tax disputes, both at the administrative hearings and the collection stages. His representation also includes dealing with the Internal Revenue Service in similar situations. Lynn also represents clients in disputes with the other Texas state agencies, including the Texas Workforce Commission, the Texas Public Utilities Commission, the Texas Railroad Commission and other agencies. Lynn is board-certified in business bankruptcy law by the Texas Board of Legal Specialization and has been since 1996. For eight years, he was an Assistant Attorney General with the Texas Attorney General's Office in its Bankruptcy and Collection Division. Before joining Husch Blackwell, Lynn practiced with Brown McCarroll.